Having bought your weapon of choice, there is still the task of equipping it with the right bits to get the job done. 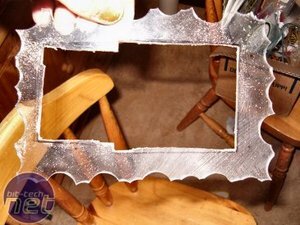 There a dozens and dozens of bits & accessories available for the Dremel, but since we are focussed on engraving, the field is narrowed to a few different bits or points - choosing the right one depends on the material and designs you want to engrave. Diamond-tipped bits are designed for hard materials like glass, aluminium or metal, but they can also be used on soft materials. Depending on what kind of pattern you are looking for, this is a technique often worth experimenting with as the results are different depending on applied pressure, speed etc. 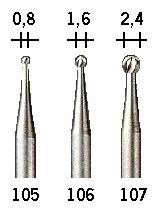 Engraving bits for soft materials like wood, acrylic, plexi, macrolon etc. 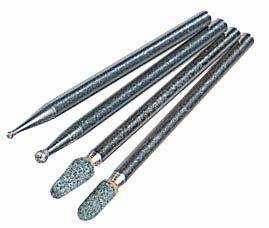 such as these are used to make lines and deep cuts and can easily be broken if used on hard materials like metal. The numbers above refer to the bit's diameter whilst the number below is the Dremel catalogue number for each bit. Made with the 105-107 bits and by just doing dots. Basically use a dabbing motion. These bits are the ones I use the most and there are many patterns that can be made with them. 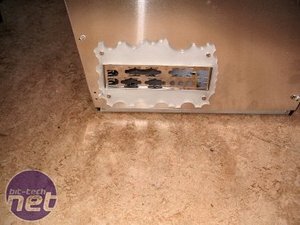 If you are engraving plexi to use in a case mod project, it is common practice to use LEDs to add some light to your design, bringing it to life. A useful trick is to engrave to different depths to alter the brightest of the light: if you engrave three lines at different depths, the deepest will shine the brightest. 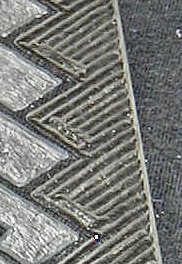 Used appropriately, this technique will produce a feeling of depth and produce highlights to an engraving. 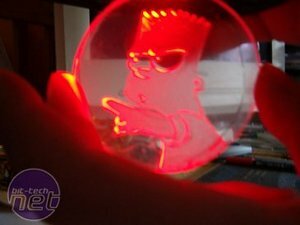 Here is a plexi engraving I made of Bart Simpson: the left edges of his hair, fingers and eyes have been cut slightly deeper than the rest of the engraving, resulting in highlights you see here; without them, the design would look flat and lifeless. Is the pricey Dremel 4000 the Rolls Royce of rotary tools? 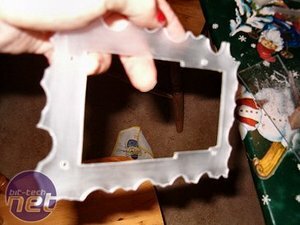 It seems like a bit of a waste of a perfectly good vintage console, but one modder has combined a Game and Watch with a phone for the ultimate accessory.